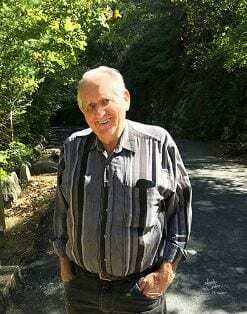 Carl Palmer: Obituary | Cherokee Co N.C.
Carl Palmer, age 76 of Murphy, NC passed away Friday, February 1, 2019 at his residence. He was a native and lifelong resident of Cherokee County, NC and the son of the late J.C. and Mary Jane Franklin Palmer. Carl was owner and operator of Palmer Construction. He loved gardening, playing the guitar and singing, camping, dancing and riding horses. Carl loved his family and took great pride in being a provider for his family. He was a member of the Marble Springs Lodge #439 A.F. & A. M & the Eastern Star. Carl attended Tomotla Baptist Church. In addition to his parents he was preceded in death by his first wife, Sandra Palmer. He is survived by his wife, Kathy Palmer; two sons, Carlos Palmer and Danny Palmer and wife Revonda; three daughters, Lottie Palmer and Doug Pendergrass, Cassey Conley and husband Robert and Noley Jean Sutton and husband “Whitey” Adam; two step-sons, Max and Rex Wilson; four brothers, J.C. Jr, Johnny, Dale “Butterball”, Ronnie and Donnie Palmer; seven sisters, Willie Anthony, Betty Watkins, Helen Pace, Sandra Pace, Judy Chastain, Connie Watkins and Janice Carringer; 11 grandchildren, 10 great-grandchildren; and several nieces and nephews. Funeral Services will be held at 2 pm, Monday, February 4, 2019 at the Townson-Rose Funeral Home Chapel in Murphy. Pastor Harold Stiles and Rev. Don Watkins will officiate. Burial will be in the Maltby Baptist Church Cemetery. Pallbearers will be Danny Palmer, Cody Bullers, “Whitey” Sutton, Jeff Holloway, Doug Pendergrass and Robert Conley. Honorary pallbearers will be the Marble Springs Lodge #439 A.F. & A. M, Tyler Hale and Jerry Hughes. The family will receive friends from 5-8 pm, Sunday, February 3, 2019 at the Townson-Rose Funeral Home. In lieu of flowers memorials may be made to the Masonic Home for Children at Oxford, 600 College Street, Oxford, NC 27565.